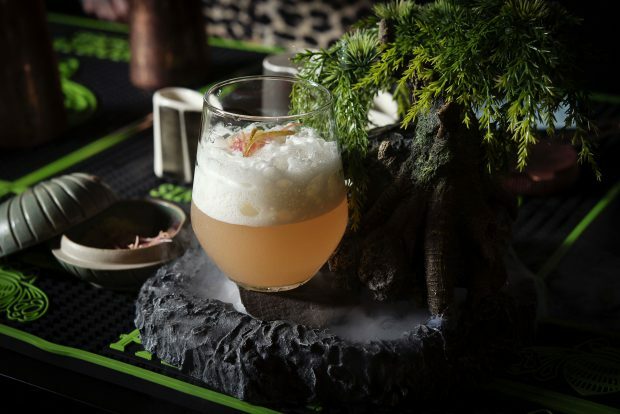 Abby Wegener, from Hades Hula House in South Australia, was crowned the National Winner of the 2018 Patrón Perfectionists Cocktail Competition in Sydney last night. Making Wegener’s win all the more impressive is the fact that she shook her first cocktail only eight months ago, when she opened Hades Hula House in the Adelaide suburb of Semaphore. Wegener impressed the judging panel with her cocktail ‘The Muldejewangk’ (pictured below), which draws inspiration from a mythological creature said to exist on the banks of the Murray River. “It’s unbelievable,” Wegener told BARS&clubs after being announced as the winner. “Eight months ago I opened the bar and shook my first cocktail, with the idea of just entertaining people and having a good time – and then I’m here. The rookie bartender drew on a “lifetime in hospitality” and her experience as a professional burlesque performer to keep the room (and the three judges) entertained. The Australian Finals – hosted by the recently appointed Patrón Ambassador Alejandro Archibald – were held at 11 Bridge Street in the Sydney CBD, with 100 trade, VIP and media guests in attendance as six of Australia’s top bartenders battled it out. 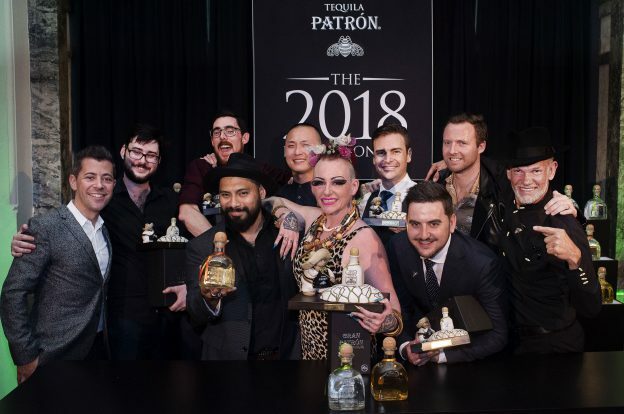 The six finalists – Ben Vials, Joseph Chisholm, Tony Huang, Pauric Kennedy, David Robinson and Wegener – were selected as winners from their respective Patrón Perfectionists regional heats that have taken place over the last three months. Each bartender was challenged to create a Patrón Tequila based cocktail inspired by Australia. Based on this and the criteria of appearance, originality, service and of course, flavour, the three judges awarded Abby Wegener’s cocktail ‘The Muldejewangk’ (recipe below) the overall win. The judging panel consisted of Head of Patrón AMEA and NAPAC, Patrón Spirits International, Nick Cox, Global Mezcal Ambassador and Founder of Agave Love, Phil Bayly and Editor in Chief of GQ Australia, Mike Christensen. “It took us a little bit of time to deliberate – we weren’t just upstairs drinking tequila, we were deliberating over all of the drinks,” said Cox upon announcing Wegener as the winner. “We all agreed that we would quite happily sit and enjoy all six of these cocktails in a bar, they were fantastic. Abby Wegener will now represent Australia and compete against eighteen other national Patrón Perfectionists winners in the Global Finals that will take place in Mexico in January 2019.